Icon Green is located in Vadodara and comprises of thoughtfully built Residential Apartments. 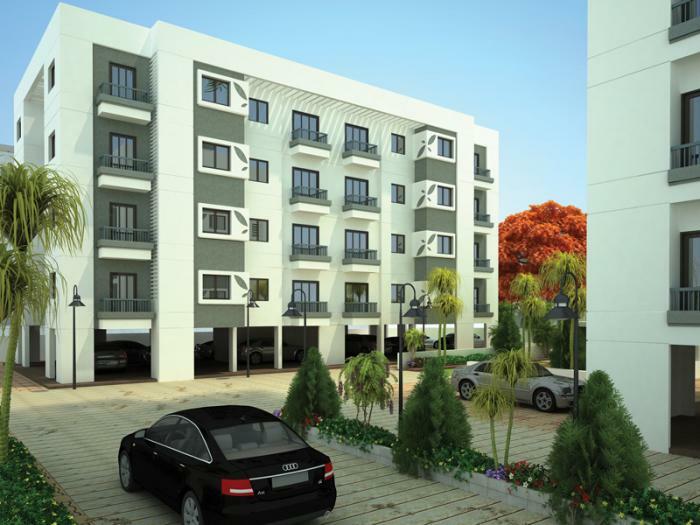 The project is located at a prime address in the prime location of Manjalpur. Icon Green is designed with multitude of amenities spread over 1.00 acres of area. Location Advantages:. The Icon Green is strategically located with close proximity to schools, colleges, hospitals, shopping malls, grocery stores, restaurants, recreational centres etc. The complete address of Icon Green is Manjalpur, Vadodara, Gujarat, INDIA.. Builder Information:. Icon Group is a leading group in real-estate market in Vadodara. This builder group has earned its name and fame because of timely delivery of world class Residential Apartments and quality of material used according to the demands of the customers. Comforts and Amenities:. The amenities offered in Icon Green are Landscaped Garden, Indoor Games, Play Area, Intercom, Club House, Wifi, Gated community, 24Hr Backup Electricity, Pucca Road, Senior Citizen Park, Security and Broadband Internet. Construction and Availability Status:. Icon Green is currently ongoing project. For more details, you can also go through updated photo galleries, floor plans, latest offers, street videos, construction videos, reviews and locality info for better understanding of the project. Also, It provides easy connectivity to all other major parts of the city, Vadodara. Units and interiors:. The multi-storied project offers an array of 2 BHK and 3 BHK Apartments. Icon Green comprises of dedicated wardrobe niches in every room, branded bathroom fittings, space efficient kitchen and a large living space. The dimensions of area included in this property vary from 1150- 1500 square feet each. The interiors are beautifully crafted with all modern and trendy fittings which give these Apartments, a contemporary look. Icon Group is a well-known player in real estate industry, and their focus from day one has been to provide the best quality real estate products. Apart from that, they provide the best customer service and the uncompromising values. It has till now handed over 1 project across housing and is working on approximately 1 society in the city. The company main goal is to provide the best real estate services in all the areas they serve. Review of Icon Green, Manjalpur? Its price, location, builder etc. Review of Icon Group, Manjalpur? construction quality, trustworthy, delivery history etc.? Review of Icon Green, Manjalpur location? neighbourhood, connectivity, schools etc.? Comparison of Icon Green, Manjalpur to nearby projects? Is it rightly priced? What is your feedback on this Icon Green, Manjalpur? Depends on brand name and complete the project in time etc? Will this be a better option for investment or to live in Icon Green, Manjalpur? Can you give some suggestion? Is the Icon Green, Manjalpur has more potential in terms of capital appreciation, ROI, Rentals, Proximity to social infrastructure etc?